Last March I was approached by a very hyper and enthusiastic David Olsthoorn regarding a promotional video for his new website that was being created at the time. I have know David for years and have worked along side him more times then I can remember so I was pretty sure that it was going to be a very relaxed project. I was leaving for London in roughly three weeks when Dave asked me about the video so we got to work on it straight away. In the space of a few days we had the narration wrote, recorded and put on a timeline with rough music that was also wrote and recorded, along with having the storyboard and shot list ready to go. Safe to say we were both a little excited about the project. We had the project scheduled over a day and a half. The only thing holding us up was the weather. A shot dave took while we were setting up. Slightly cold to say the least! The next day we woke up to get to a patch of coastline just beside Davids family home for the sunrise. This morning is highly up there with the coldest I have been while shooting. For two people who shoot along the Irish coastline so frequently, both of us had forgot to bring gloves, hats, boots etc. Most warm artifacts really! 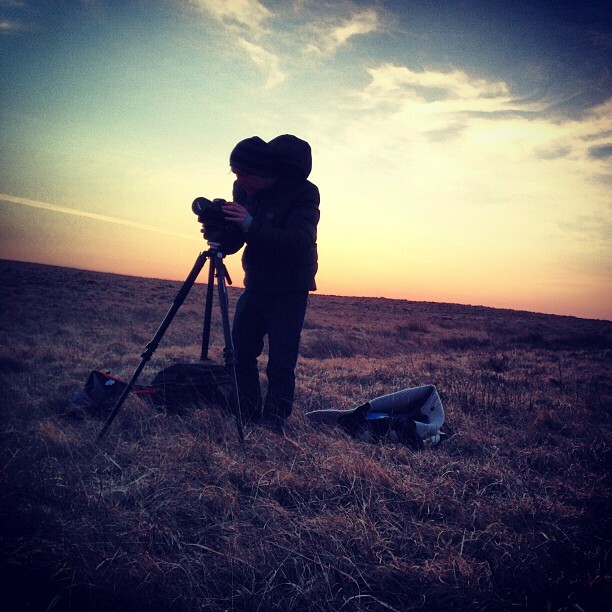 We wrapped the morning shoot and then waited for the sun to set to finish the project. I was extremely pleased that not only could we have got better light to finish the project, for my last evening in Ireland I got to shoot at the most impressive cliffs in Europe! I am more then happy with the finished project that is now up on David's new website made by the talented people at little blue studio! Music by Sean O'Brian and additional footage by Donough Cronin. Always happy to hear any comments or questions on the video!